Sunflowers. Acrylic on 10 x 8 inch canvas board. $90.00 unframed, $120.00 framed plus taxes, shipping, and handling. 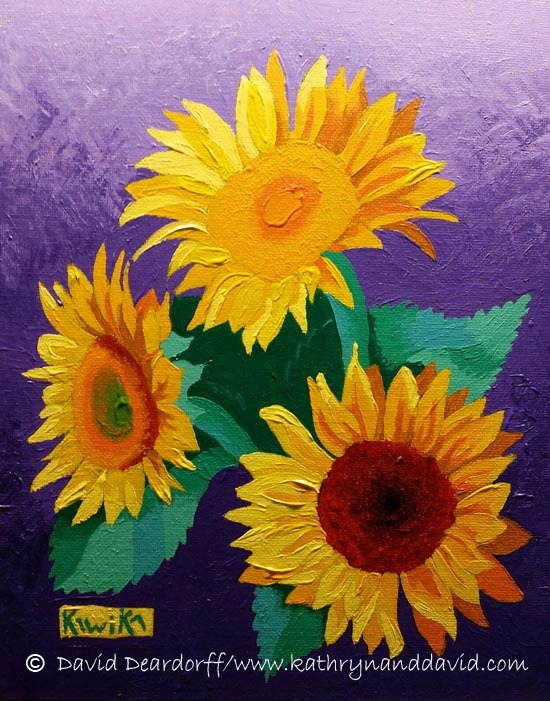 Sunflowers are a perennial favorite painting subject as well as a garden favorite. We always have plenty of them in the garden from all the seeds the birds scatter out of the bird feeders. Greeting Cards: 7 x 5 inch $5.00 plus taxes, shipping, and handling.